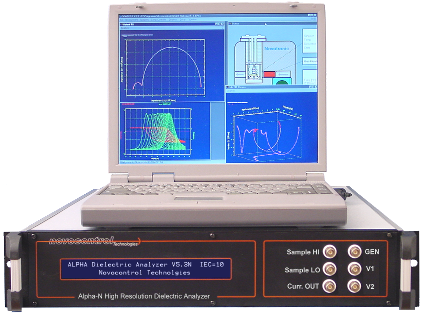 The Beta analyzer has the same functionality, but supports 3 and 4 electrode configurations in addition. 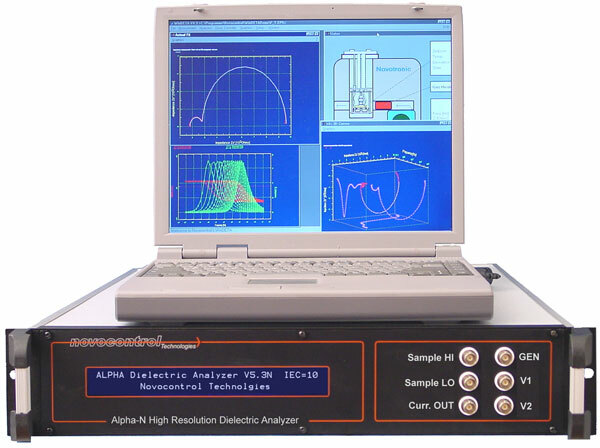 The Beta and Alpha analyzers cover 16 orders of magnitude impedance range, 13 orders of magnitude frequency range and 1m° basic phase accuracy in a single instrument. This combination makes them powerful tools for electric analysis instrumentation. 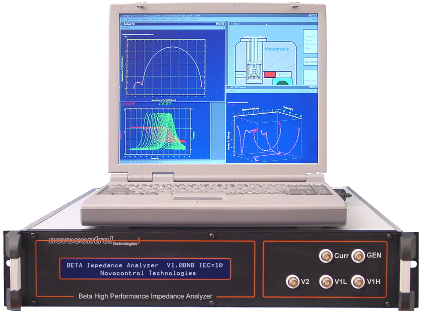 As a result, the analyzers can measure the permittivity, conductivity and impedance of nearly all materials or components broadband and over a wide temperature range without changing sample geometry or sample cells. The Beta analyzer voltage channel input impedance is 1012| 10 pF which exceeds the range of most competing instruments by several orders of magnitude and therefore can be seen as a major improvement in broadband 3 and 4 electrode measurements. Broad frequency range 3⋅10-5 to 4⋅107 Hz including low frequencies for characterization of dielectric relaxations, electrochemical and high impedance effects. Ultra wide impedance range 10-2 Ω to 1014 Ω (16 decades) covers range from conductors to best isolators. Single integrated device operated by high level GPIB commands for easy and straightforward implementation in own programs or existing measurement set-ups. No additional customized software, frequency response analyzer, lock-in amplifier or interface required. Note: The recommended types with best performance / price ratio are the Alpha-NB or Beta-NB (20 MHz with dc bias).